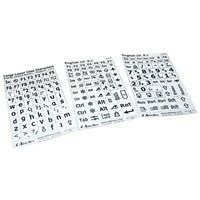 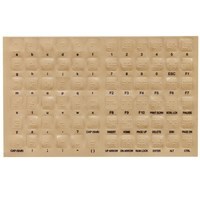 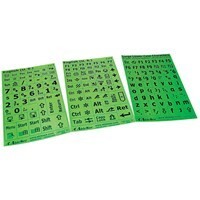 MaxiAids’ selection of Keyboard Overlays and Stickers includes Apple Macbook Keyboard covers, Bold Print Labels, Braille Overlays for low vision keyboards, and Computer Keyboard Labels. 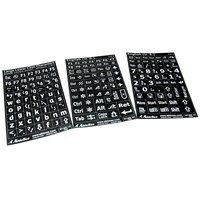 Make time spent at your computer more productive and more enjoyable with these adaptive Keyboard Overlays and Stickers. 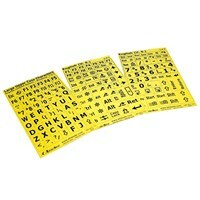 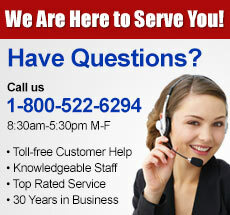 Our easy to see print keyboard overlays and stickers offer protection from dirt, dust and spills. 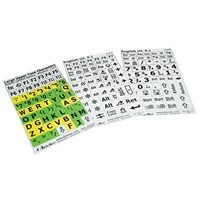 Bold print labels-- see letters better on your keyboard. 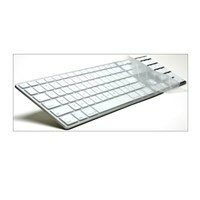 Braille overlays-- turn any keyboard into a blind friendly keyboard. 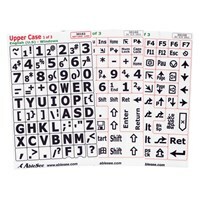 Braille large print letters, large print computer keyboard labels and labels for a laptop computer. 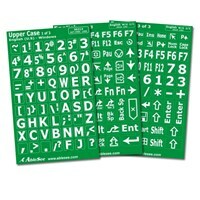 Choose from different colors too!